Residents of Negros Occidental will be marking the 114th anniversary of the 1898 Negros Revolution on Monday, November 5. The day, which falls on a Monday, is a special non-working holiday in the entire province as stipulated in Republic Act 6709, which was enacted by President Corazon Aquino in 1989. Read the full text of RA 6709 here. Also called Al Cinco de Noviembre or Negros Day (though Negros Oriental is not included in the declaration), the occasion commemorates the successful effort of Negrense freedom fighters to drive out remnants of the Spanish government from the province. This historical event led to the establishment of the Republic of Negros under the leadership of Aniceto Lacson. 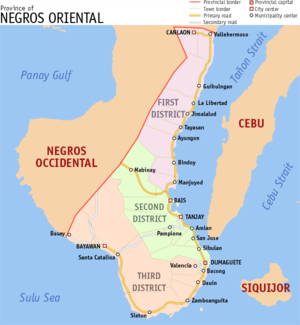 The Negros Republic however was eventually subdued by the American colonizers. Meanwhile, people of Occidental Mindoro will also have a special non-working holiday this November 15, Thursday, to commemorate the province’s 62nd foundation anniversary. The Office of the President made the announcement through Proclamation 484, which was signed by Executive Secretary Paquito Ochoa last October 4. Click here to access Proclamation 484 in full. Let me take you back to October 21, 2011. It was a usual Friday afternoon, and I and three officemates just came back from having lunch in a chicken restaurant. Suddenly, I felt intense pain in the left side of my stomach. Imagine yourself not being able to stand up straight because your stomach aches so much. I spent the rest of that work day rushing to the restroom to vomit. According to the United States Department of Health and Human Services, there are two types of gallstones – cholesterol stones and pigment stones. Cholesterol stones are usually yellow-green and are made primarily of hardened cholesterol, and this accounts for about 80 percent of gallstones. Pigment stones, on the other hand, are small, dark stones made of bilirubin. A laboratory test showed that I have high cholesterol levels. Studies have shown that cholesterol levels can be inherited, which means that even an average consumption of fatty foods can be dangerous. I had gallstones-induced stomach pains after eating foods like fried chicken, pizza, and even kangkong. The gallbladder contracts harder to produce the bile necessary to digest these foods. Gallstones hinder the flow of bile as it moves from the gallbladder to the small intestines through the bile ducts. These stones effectively renders the gallbladder useless. “Bile trapped in these ducts can cause inflammation in the gallbladder, the ducts, or in rare cases, the liver,” the US health department added. According to this website, some people do not even know they have gallstones. This is not the case with me since my condition is obviously symptomatic. To alleviate the pain, I took painkillers (Celexocib). My doctors also advised me to avoid eating fatty foods. What are the immediate impacts on me of that chain of events exactly a year ago? As I related in a blog, the revelation made me cry a lot out of uncertainty at first. After I successfully sought a second opinion from an internal medicine specialist, my anxiety loosened up. After all, I was told that my situation isn’t as hopeless as initially thought. Nevertheless, the risk posed to me by my high cholesterol levels cannot be underestimated. I initially thought that my condition may affect my graduate studies. It didn’t. However, since this episode happened during the last week of the semester, I wasn’t able to focus anymore in accomplishing the final paper for one class given all the distractions. In fact, the night before the deadline, I sought a second opinion from another doctor. I want to thank Dr. Lou de Leon-Bolinao for being considerate during that challenging time. I eventually decided to go for an operation, and that’s one experience I will have to tell more about in a future post. PS: If you’re experiencing sudden stomach pains in the left quadrant after eating hard-to-digest foods, ask your doctor for a recommendation for you to undergo an ultrasound. The sooner you know the real cause of the pains, the better. 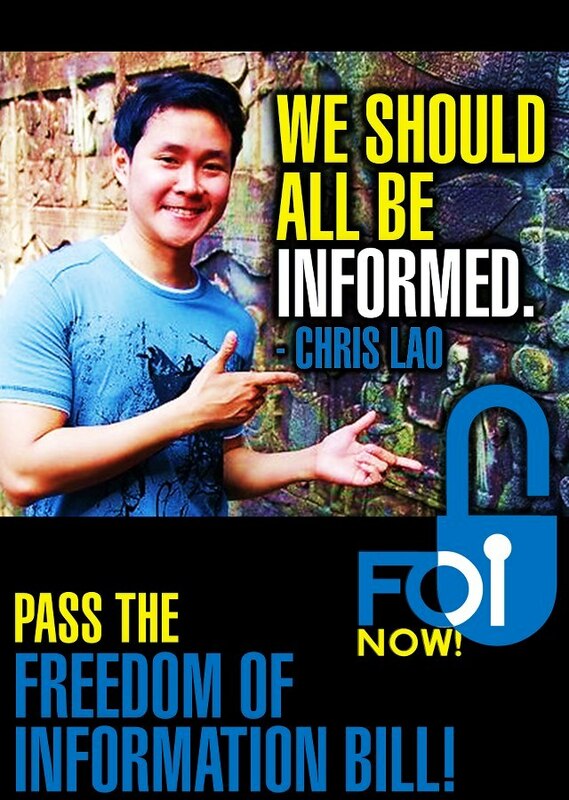 Philippine Freedom of Information bill – Quo vadis? The freedom of information (FOI) bill remains languishing in the House of Representatives two years after Benigno Aquino III, who campaigned on a platform of government transparency, won the presidency. Rep. Lorenzo Tañada III of Quezon, the bill’s main author, remains optimistic that the measure can be passed by the 15th Congress even if the 2013 midterm elections is just seven months away. Tañada, who concurrently serves as the deputy speaker for Luzon, explained that the FOI bill has been forwarded to the House Committee on Public Information since November 2010. He pointed out that committee chair Rep. Ben Evardone of Eastern Samar is yet to schedule a public hearing regarding the bill. “He (Evardone) wants us to have a caucus first before the hearing, but it should be the other way around,” Tañada said during an interview at the University of the Philippines Diliman last September. Frequently mentioned as a potential senatorial candidate, Tañada is not included in the lineup of the Liberal Party for the 2013 polls. Prior to his inauguration, Aquino reiterated that he will prioritize the passage of the FOI bill. However, the president failed to mention the measure in his three state of the nation addresses so far. The FOI is also not listed as one of the government’s priority bills during the Legislative-Executive Development Advisory Council meeting last August 2011. 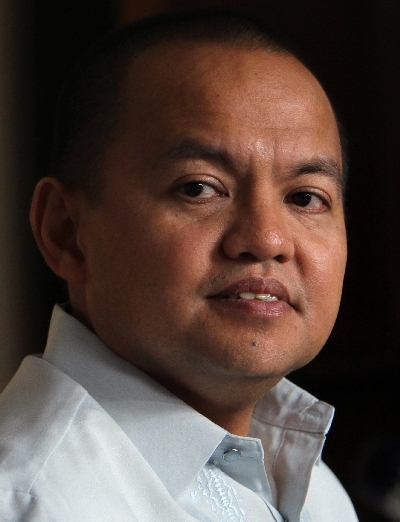 Presidential spokesperson Edwin Lacierda said then that the Palace “needs more time” to study the measure. Tañada, upon instructions from the Palace, led a technical working group in consolidating the different versions of the FOI bill. Early this year, Malacañang released its proposed version of the FOI bill, but the measure is yet to reach the plenary. “No one has come out publicly to oppose the FOI, but there are those who want to delay the process,” Tañada said, specifically blaming Evardone for the bill’s slow progress. A former president of the Union of Local Authorities of the Philippines, Evardone served as Eastern Samar governor prior to his stint in Congress. 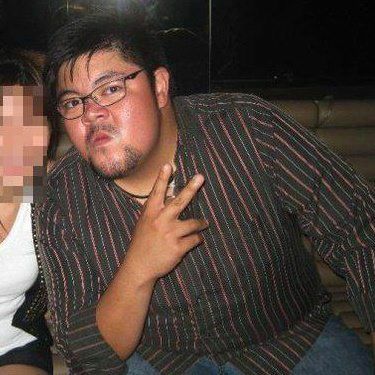 Evardone defected to the Liberal Party despite being a former member of the LAKAS-KAMPI coalition shortly after Aquino’s victory. Evardone announced last June that the FOI bill will be tackled after Aquino’s July 23 state of the nation address but in August 6, he canceled the scheduled vote on the measure because of “contending issues that needs to be resolved first.” The following day, 117 House solons announced their support for the FOI measure through a paid advertisement. Early this month, the Right to Know, Right Now Coalition, a group advocating the passage of the FOI bill, decried what it sees as a “conspiracy” between Evardone and House majority leader Neptali Gonzales, Jr. to “kill” the measure. In a statement, the group pointed out that it is within Gonzales’ power to certify the FOI bill as urgent so that it can be included in the lower house’ calendar of business. “Gonzales’ inaction confirms Evardone’s earlier claim that his refusal to act on the bill was consistent with instructions from the House leadership,” the group said. The FOI bill was first filed in 1992 by then-Pangasinan Rep. Oscar Orbos. 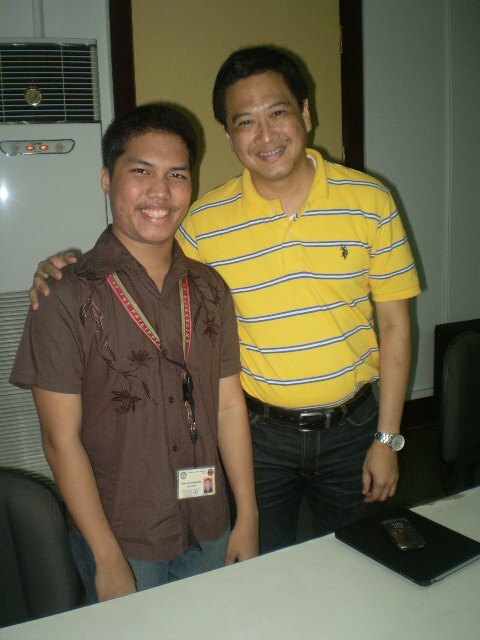 In June 2010, the measure passed the third and final reading in both houses of congress but the House of Representatives led by then-Speaker Prospero Nograles failed to ratify the measure for supposed lack of quorum. Tañada belied this, saying that almost all of his colleagues attended the last session day because it features a tribute for solons that have completed three successive terms. The Palace-endorsed version of the FOI bill states that “all information pertaining to official acts, transactions or decisions, as well as government research data used as basis for policy development, regardless of their physical form or format in which they are contained and by whom they were made” should be made accessible to the public. In case a request for information will be denied, the concerned agency shall do so within seven working days. This decision can be appealed by the requesting party before the Office of the Ombudsman, who in turn should decide on the matter within 60 working days. The FOI bill will also require all government officials including military generals, to publicize their statement of assets, liabilities, and net worth in the Internet. For his part, Nueva Ecija Rep. Rodolfo Antonino’s version of the FOI legislation includes a “right of reply” provision. In Antonino’s proposal, government officials who might be involved in issues arising from the release of public documents through FOI should be given the opportunity to reply in the same space of the printed material or in the same radio or television program where the issue was tackled. This reply should be aired or published not later than three days after it has been received. Tañada expressed his objection to Antonino’s proposal, saying that it infringes on the editorial independence of media outfits. A right or reply bill has been pushed in the Senate in early 2009 but was subsequently withdrawn after receiving flak from media groups. “The FOI bill can be a powerful tool in empowering people. People should always assert their right to information,” Tañada said, belying claims that only media persons will benefit if and when the measure gets passed. The solon from Quezon lamented that his colleagues are “not comfortable” with the FOI bill. “Will they (House solons) like it if people can examine how they spend their pork barrel?” Tañada asks. 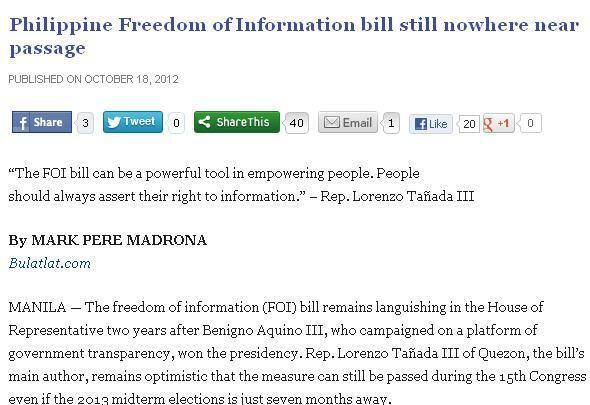 The 20-year delay in the passage of the FOI bill seems to answer this question already. *This article also appeared in Bulatlat.com last October 18. Follow this link. Filipinos nationwide are bound to have a rare four-day weekend just a week after the Eid’l Adha holiday which will be on October 26. All Saints’ Day and All Soul’s Day (November 1 and 2 respectively) are both listed as special non-working holidays by virtue of Proclamation 295. Signed last year by President Benigno Aquino III, Proclamation 295 lists all regular holidays, special non-working days, and special holidays for the year 2012. Read the full text of Proclamation 295 here. On the other hand, October 31, 2012 has NOT been declared a holiday. This poses a tricky situation for employees. 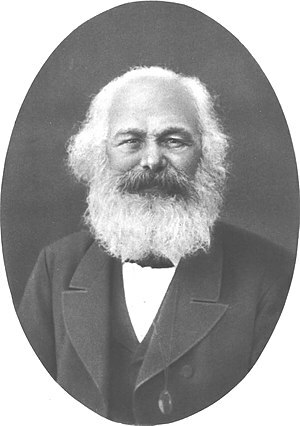 According to the Department of Labor and Employment’s Handbook on Worker’s Statutory Monetary Benefits (released in 2010), an employee is entitled to a holiday premium only when “he/she is present or is on leave of absence with pay on the work day immediately preceding the holiday.” Download the 2010 handbook in this link. Meanwhile, workers are entitled to get an additional of 30% to their regular hourly rate if they render overtime service on these dates. See the complete list of DOLE holiday pay guidelines here. A longer version of Liu’s interview with Letterman has been uploaded in the YouTube channel of CBS. 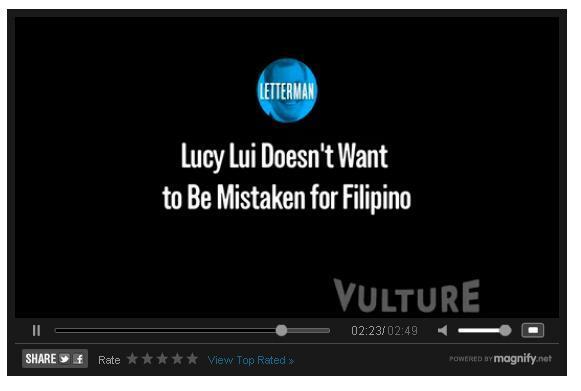 Although the two-minute snippet omits the part where Liu mentioned “Filipino,” it nevertheless provides context as to what she is talking about. Liu is narrating to Letterman her fitness regimen which includes exercise and certain sports. It can be remembered that in May 2009, Letterman and actor Alec Baldwin caused uproar when they joked on the show about getting mail order brides from the Philippines. Both Vulture.com (which is the entertainment blog of New York Magazine) and Spot.ph did not put the quote in its proper context. By doing so, it seems that they are merely trying to unnecessarily stoke anger from Filipinos, which probably won’t happen this time unlike in past cases (remember Teri Hatcher and her ‘med schools from the Philippines’ line?). Liu did not say anything negative directly against Filipinos. Nevertheless, Liu’s remarks are similar to Serbian fashion designer Lara Bohinc’s controversial statement last year in The Telegraph. Bohinc said she wanted to make sure that supermodel Kate Moss will be the one wearing the belt she gave her because “I (she) didn’t want to see it on her Filipina maid.” Liu probably has no intention at all to offend “little Filipinos,” but come to think about it, she could have still made the same point (ergo, her desire not to be dark) without mentioning any nationality at all. We would like to thank the government of Malaysia, who stood as facilitators as we realized our aspirations for peace; we thank in particular Prime Minister Dato’ Sri Mohammad Najib bin Tun Abdul Razak, whose commitment remained firm despite considerable political and personal risk. We would also like to thank the members of the International Contact Group: the governments of the United Kingdom, Japan, Turkey, and Saudi Arabia, and also international [SP]NGOs like Conciliation Resources, the Center for Humanitarian Dialogue, the Asia Foundation, and Muhamadiyah. Our people are also grateful for the help of the International Monitoring Team composed of the governments of Malaysia, Brunei, Libya, Norway, Indonesia, the European Union and Japan. We would also like to thank the United States, Australia, and the World Bank, among several other countries and institutions, have also provided invaluable support during the course of this process. This framework agreement is about rising above our prejudices. It is about casting aside the distrust and myopia that has plagued the efforts of the past; it is about learning hard lessons and building on the gains we have achieved. It is about acknowledging that trust has to be earned–it is about forging a partnership that rests on the bedrock of sincerity, good will, and hard work. This speech was delivered by President Benigno Aquino III in a hastily-organized event in Malacanang this Sunday afternoon. Originally posted in the Palace’s Official Gazette.